WATERFRONT STUDIO, UPDATED AND FURNISHED THROUGHOUT. UNIT SLEEPS UP TO 4-PERSONS. AND COMES WITH AN ASSIGNED RIGHT TO USE BOAT SLIP #A10 THAT IS (46FT) WITH ELECTRIC AND WATER AVAILABLE AT THE SLIP. VERY NICELY UPDATED, FURNISHED AND COMFORTABLE. YOU'LL JUST LOVE THE VIEWS OF THE WATERWAY, OVERLOOKING THE POOL AND MARINA AS WELL... GORGEOUS SUN SETS.. INCLUDES BBQ GRILL FOR BOTH YOU AND YOUR GUESTS USE. 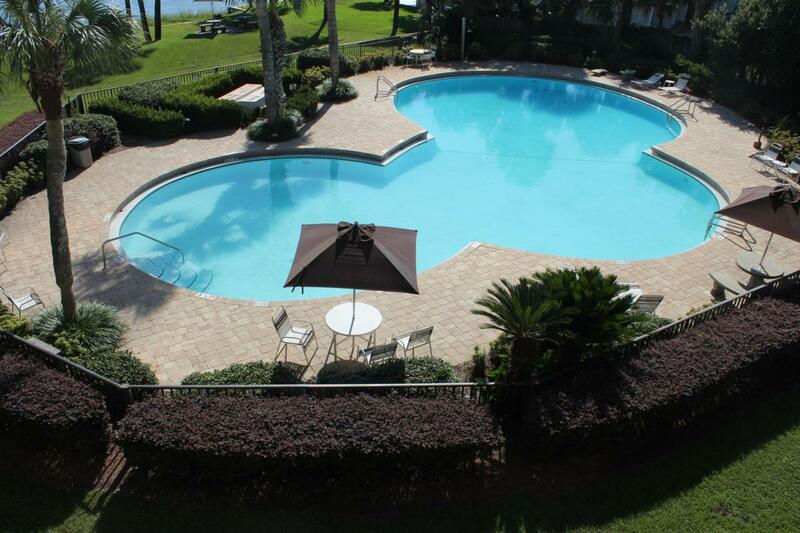 LARGEST COMPLEX POOL IN THE FT. WALTON AND SURROUNDING AREA. AND THERE IS A POOL AT EACH BUILDING. ASSOCIATION DUES ARE REASONABLE AND INCLUDE: WATER, SEWAGE, TRASH, QUARTERLY PEST SERVICE, CABLE TV W/2-HBO'S, HI-SPEED WIRELESS INTERNET, INSURANCE ON THE BUILDING, EXTERIOR MAINTENANCE, MARINA MAINTENANCE, AND MUCH MORE.... TOTAL COMPLEX EXTERIOR RENOVATIONS JUST COMPLETED AND WOW.! !